During my healing journey, I did a lot of research about supplements. Unfortunately supplement companies aren’t subject to the same quality control as pharmaceuticals, and they don’t all manufacture supplements with the same level of quality. In addition, how supplements are formulated is important. When certain ingredients are combined, they can either create a beneficial synergistic effect, or they may interact with each other, decreasing their absorption. After researching and muscle testing various supplement brands, I decided on Pure Encapulations brand for many of the supplements I take. Pure Encapsulations is a pharmaceutical-grade brand that has extremely high quality control and manufacturing guidelines. Each product undergoes rigorous testing by a third-party laboratory to verify label claims, potency and purity. All of the products sold by Pure Encapsulations are free of gluten, dairy, and additives that may affect absorption. 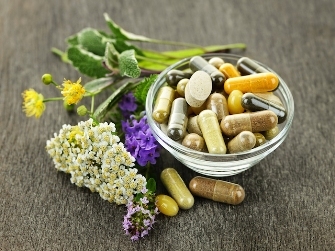 Supplements are a major factor in your health and healing, so I wanted to provide access to high-quality, well researched and tested products that will help you on your healing journey. These supplements are normally only available through healthcare professionals, however the company has allowed me to set up an online store to serve my community. Note: These products are available on a 3rd party website. While we recommend these products, the information provided should not be used as a substitute for professional diagnosis and treatment. Please consult your healthcare provider before making any healthcare decisions or for guidance about a specific medical condition.